Rajasthan will reportedly recruit 20 new drug inspectors in order to upgrade its infrastructure and resources for drug testing facilities in the state. The total manpower of drug inspectors will reach 85 people, from the current figure of 65 in the state. Three more drug testing laboratories at Udaipur, Jodhpur and Bikaner are also likely to be made operational, with the financial support from the central government. These lab are constructed, and are likely to be equipped with testing technologies and methods on an immediate priority basis. It will be major boost to the state infrastructure which only has one state drug facility in Jaipur at present. The capacity of the drug testing lab which currently holds a sample size of 500 cases to be tested in span of one to three months, will now respond to testing of the samples in a window of 15 days time. According to a state drug control official, “The task of upgrading lab infrastructure will also entail recruiting skilled technical personnel for the same. A request has been sent to the Rajasthan Public Service Commission on the same.”, as reported by pharmabiz.com. 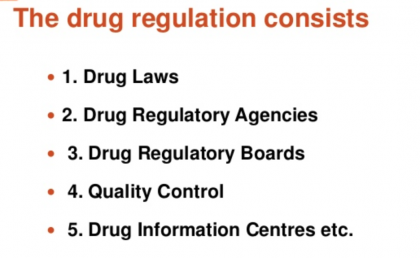 Around 60,000 brands of drugs are available in the market and drug samples are collected based on the random survey. There are 60 drug control officers in the state. There are around 20,000 retail establishments and 16,000 drug distribution counters in government hospitals across the state which are closely monitored by the state drug regulators. Rajasthan has a total of 17,298 healthcare institutions including primary health centres (PHCs), community health centres (CHCs), sub centres and government hospitals.